Coolangatta, Gold Coast QLD/AUS (Thursday, 18th October 2018) – With less than a month until the Port Stephens Toyota Pro, some of the world’s best and most high-profile female surfers are gearing up to head to the idyllic region. 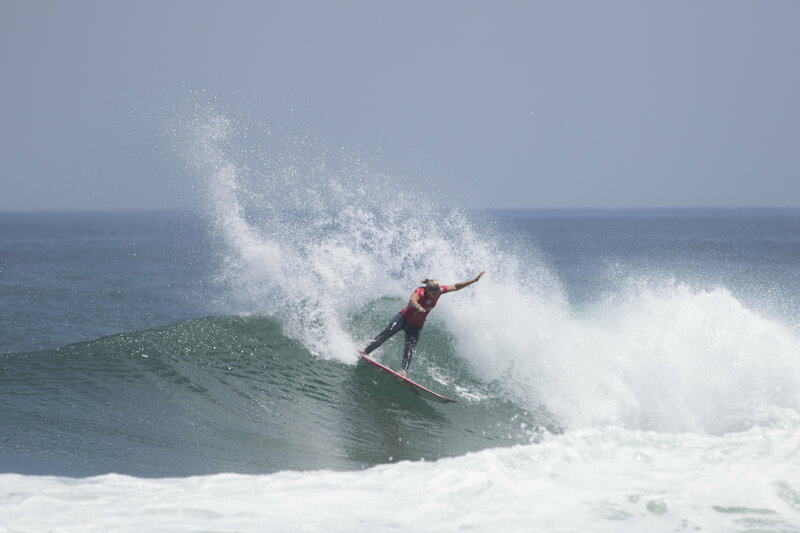 The elite World Surf League (WSL) Qualifying Series (QS) competitions – which will run from the 8 – 13 November – will comprise of Women’s 6,000 and Men’s 1,000 rated divisions and provide the women with a healthy boost of points to finish their 2018 QS campaigns. Currently ranked 14th on the World Championship Tour and 2017 Port Stephens Toyota Pro competitor Sage Erickson (USA) is looking forward to returning to the Port Stephens region and finishing her 2018 campaign off with a bang. Having received a wildcard into the Women’s QS 6,000 event and currently 10th position on the WSL Championship Tour, Nikki Van Dijk (Phillip Island, Vic) is eager to venture north to compete in the Port Stephens Toyota Pro for her first time. Surfing NSW CEO Luke Madden praised the collaborative efforts of all stakeholders for getting the event off the ground for the second year in a row. “The Port Stephens Toyota Pro is truly a collaboration of efforts from all stakeholders as well as the local community. I think I speak for all parties when I say that we’re all looking forward to seeing the 2018 Women’s Qualifying Series wrap up in this beautiful part of the world in the forthcoming weeks,” said Madden. WSL Australia / Oceania General Manager Andrew Stark shared Madden’s excitement at seeing the event return. The 2018 Port Stephens Toyota Pro will run from November 8 – 13. For more information, images, highlights and results head to www.worldsurfleague.com or check the free WSL App. Joining the Men’s QS1,000 and Women’s QS6,000 components of the event will be the Open Women’s Pro-AM and Kaos Surf PRD Cadet Cup which will run over the 3 – 4 November. Both events will give amateur women and promising junior stars the opportunity to rub shoulders with some of the biggest names in women’s surfing. Divisions in the Kaos Surf PRD Cadet Cup will comprise of Under 16 Boys and Girls, Under 14 Boys and Girls, Under 12 Boys and Girls and Under 10 Boys and Girls. The 2018 Port Stephens Toyota Pro couldn’t happen without the support of the NSW Government via its tourism and major events agency, Destination NSW. The entire event will run from November 3 – 13. For more information and a live broadcast head to worldsurfleague.com and check the WSL App. The 2018 Port Stephens Toyota Pro is also supported by Port Stephens Toyota, Port Stephens Council, AirAsia, Kaos Surf, PRD Nationwide, Wanderers Retreat, The Oasis Eco Retreat, KeySun, Murrays Brewery, Newcastle Airport, Surfing NSW and WSL. The World Surf League (WSL) is dedicated to celebrating the world’s best surfing on the world’s best waves through a variety of best-in-class audience platforms. The organization, headquartered in Santa Monica, is a global sport with regional offices in Australasia, Africa, North America, South America, Hawaii, Japan and Europe.The WSL has been championing the world’s best surfing since 1976, annually running more than 180 global events across the Men’s and Women’s Championship Tours, the Big Wave Tour, Qualifying Series, Junior and Longboard Championships, as well as the WSL Big Wave Awards. The League possesses a deep appreciation for the sport’s rich heritage while promoting progression, innovation and performance at the highest levels, and in doing so crowns the undisputed Men’s and Women’s World Champions across all tours.Showcasing the world’s best surfing on its digital platform at WorldSurfLeague.com, the WSL has a passionate global fan base with millions tuning in to see world-class athletes like Kelly Slater, Stephanie Gilmore, Tyler Wright, John Florence, Lakey Peterson, Paige Alms, Kai Lenny, Taylor Jensen, Honolua Blomfield, Carissa Moore, Gabriel Medina, Courtney Conlogue and more battle on the most dynamic field of play of any global sport.